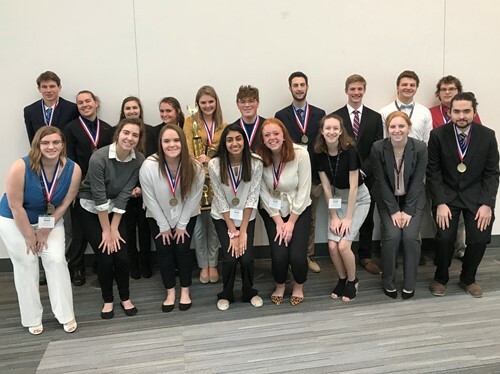 Warren County Career Center students in Business Professionals of America competed recently at state and 14 qualified for the BPA National Leadership Conference in Anaheim, Calif. May 1-5. Students from WCCC’s Legal Office Technology program, and satellite students from Kings, Lebanon, Little Miami, and Springboro high schools participated. Satellite programming through Warren County Career Center offers STEM-focused educational opportunities through project-based learning environments to enhance our students’ college, career and life visions. Warren County Career Center offers Satellite programming through our partner schools in Business, Digital Media Arts, Family and Consumer Sciences, Information Technology, PLTW Engineering, PLTW Biomedical, and Teacher Academy.